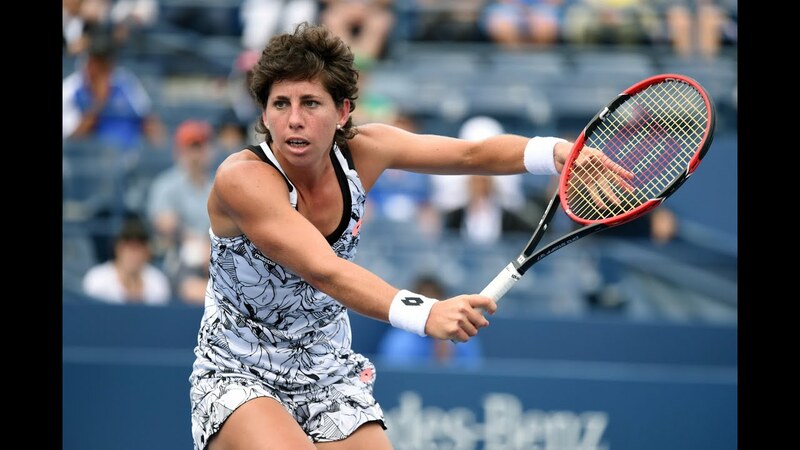 Carla Suarez Navarro is on a ten-match winning streak at Grand Slam first round stage, with the last such loss coming at the 2015 US Open. However, the Spaniard has suffered seven opening-round losses in 2018, including twice on grass, at Mallorca (Arruabarrena) and Eastbourne (Collins). Wimbledon is the only slam where the former world #6 Suarez Navarro hasn’t yet reached a quarterfinal, having done so thrice at Melbourne (including this year), twice at Paris and once at New York. She has advanced to as far as the round of 16 stage at the SW19, in 2013 (l. Kvitova) and 2016 (l. V. Williams). Carina Witthoeft’s season has turned bad to worse as the German, unable to find her form, has gone 1-3 on the grass so far, including losses to #174 Schoofs at ‘s-Hertogenbosch, eventual champion Maria at Mallorca (second round), Parmentier at $100k Southsea. Witthoeft, who won her first WTA title at Luxembourg last year (d. Puig), may find some comfort in her last two years’ result at Wimbledon, third round finishes in 2016 (l. Kerber) and 2017 (l. Svitolina). She has gone 3-7 against top 30 players in the last twelve months. The pair’s only previous meeting came at 2015 Australian Open first round, which ended in a 6-3 6-1 scoreline in Witthoeft’s favor, who was then ranked outside top 100. That win remained the German’s only top 20 win until she defeated #13 Julia Goerges at Miami this year.